Coming to New Zealand for a holiday? Already here? If you have a Dutch or Belgian (Dutch) driver licence you will need to have it translated in order to hire a vehicle or swap your licence for a New Zealand one. 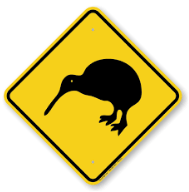 Get your NZTA approved licence translation done fast by Tomlex Translation. Regular or Express Service available & everything can be done via email. Use the contact form and we’ll be in touch asap.